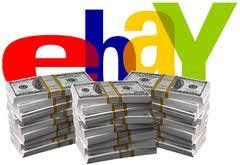 I found a very simple way to save money on eBay, out think the other person. Where someone needs out of the box strategy. Like everyone should know eBay is a great place to get great things Cheap, if not you should know this. Most people go around just placing a bid and hope they can win, this behavior will cause a bidding war. Not good for you, if you are bidding against a Genghis Khan, you know the personality type that needs to win at all cost. He/she or you will end up paying more then the item is worth! Go in there with a strategy, make a decision on how much are you willing to pay for the item and still be a good deal. If you have the time and can sit for the bid clock to count down to last 20 – 15 seconds are golden. You will place the largest bid, and use the automatic bid up feature to max your bid. Most people will not have enough time to respond, and can't bid up the price. In case they had an automatic bid set up as well. Still, have a strong chance at winning this bid and getting the lowest possible price. Ok, I know what happens if you have a life? This will not work? Wrong! The same strategy will apply slight just a slight modification at the last possible second before you leave for the day before you go to bed, or on your lunch or during breaks make your bid. I hope you will know you will lose some bids, it just was not meant to be and please move on. A true winner does not pay retail, let the others pay retail and you will find the diamonds in the rough on eBay. You can't bet the convenience of having items coming to you and not having to go to the store to pay more. Including not paying for the transportation cost of going to the store in the first place.